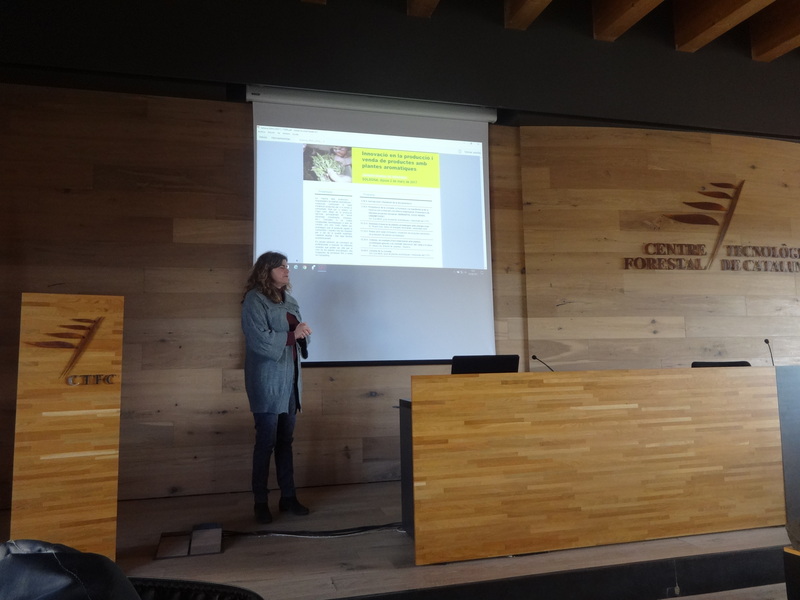 The 2nd March 2017 a Seminar took place in the headquarters of Centre Tecnològic Forestal de Catalunya (Forest Research Centre of Catalonia) in Solsona (Spain), where aromatic plants producers and handicraft food herbal products could know the last innovations related to professional training of MAPs manufacturing, research on spices sterilisation, solar dryers technologies and entrepreneurial innovation from the cultivation until the marketing of herbal products. 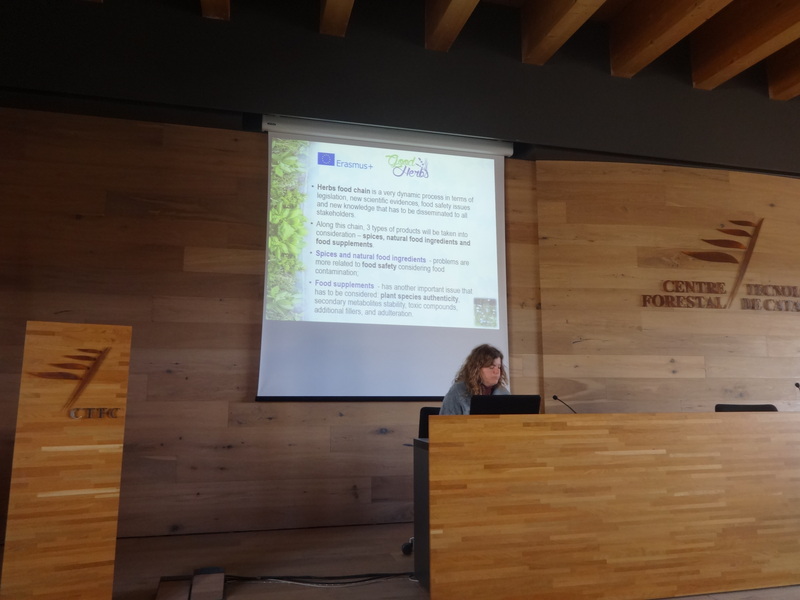 Training and Technology Transfer Projects: Eramus+ HERBARTIS, Erasmus+ GOOD HERBS, FP7-GreenFoodEc – by Eva Moré, CTFC. 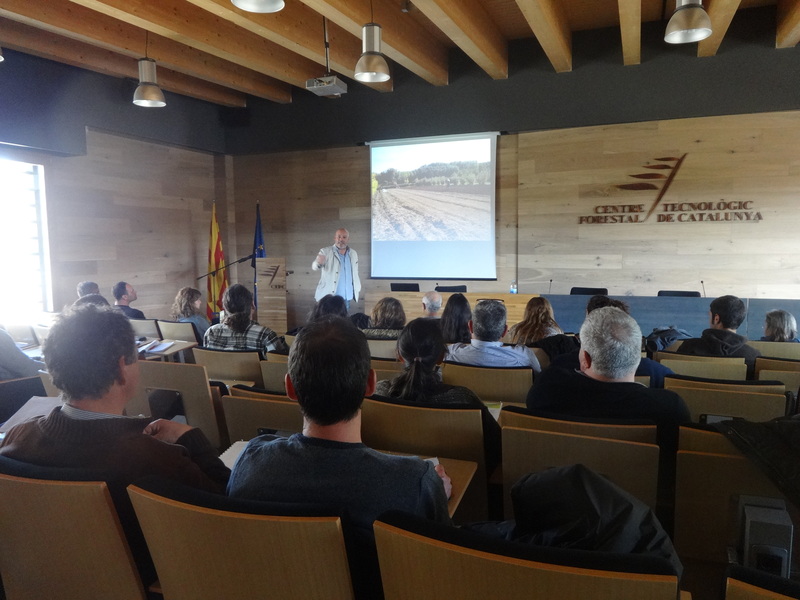 Drying systems of aromatic plants with Solar Energy – by Ricard Guiu, solar dryers expert. 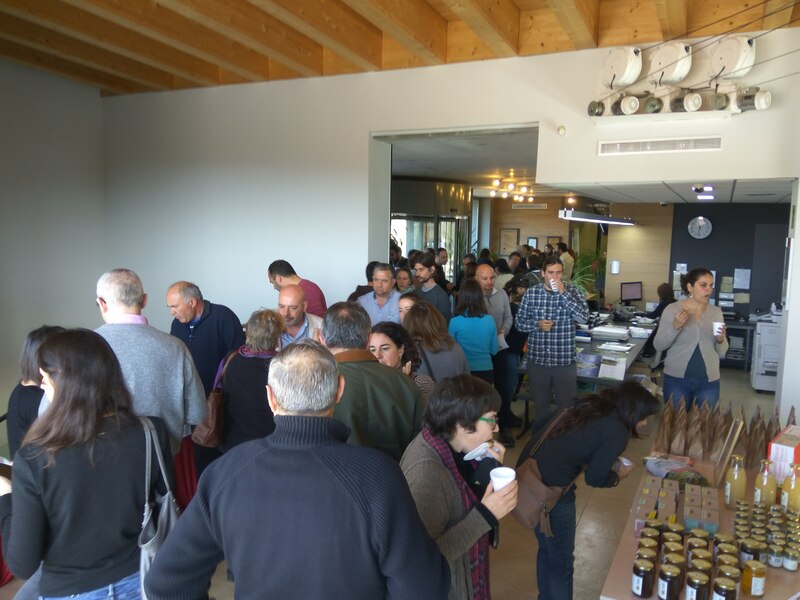 Josenea, an exemple of entrepreneurial success with aromatic plants, thanks to constant innovation: from field to cup – by Jesús Cía, Josenea manager. 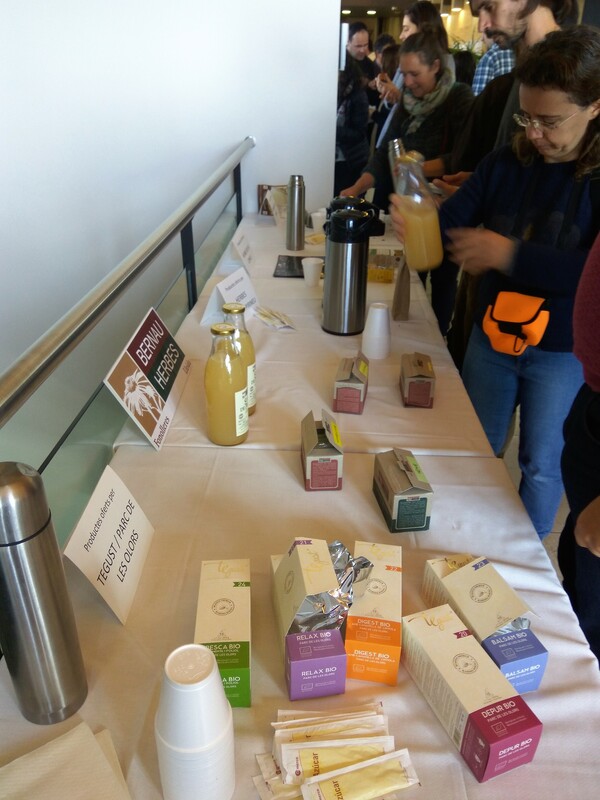 More than 50 attendants could also meet different producers and degustate their products (herbal teas, condiments, salts, oils, patés, sweets, honeys, etc.) 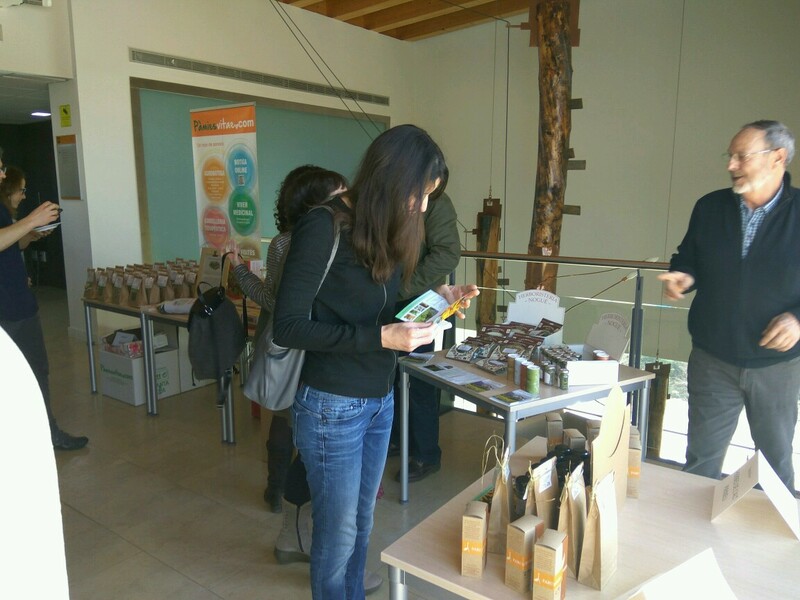 thanks to a showroom of food herbal products manufactured in Catalonia (Spain). 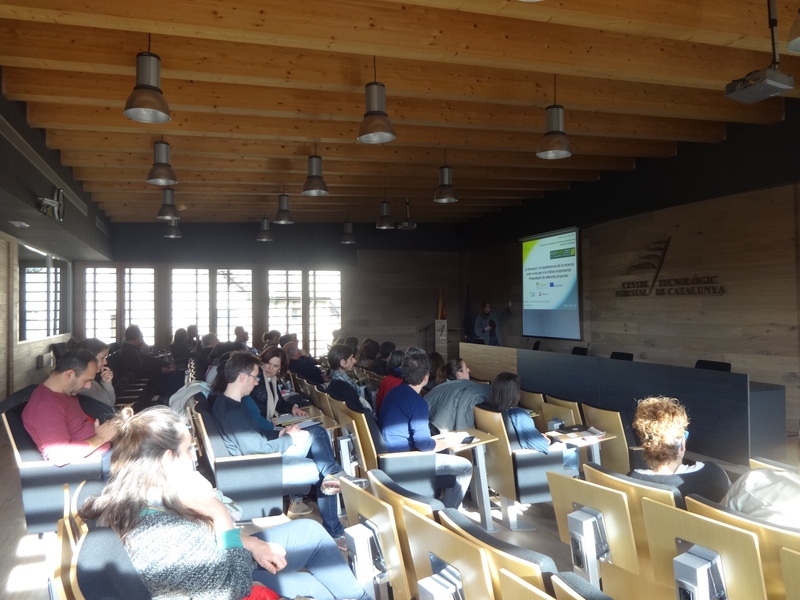 Several companies participated: Bernau Herbes, Parc de les Olors, La Teuleria de Linyola – Parc de les Olors de Linyola, Herbes de l’Alt Pirineu-Parc de les Olors d’Araós, Pàmies Hortícoles – Pàmies Vitae, Herboristeria Nogué, Aromis, Herbes de la Conca. This iniciative is done under the Annual Plan of Technology Transfer (PATT) of the Departement of Agriculture of the Government of Catalonia, with the support of the project Erasmus+ HERBARTIS – Adult training on handicraft production of MAPs, ending a program of different activities in Catalonia region with the learners (mainly producers) and teachers of the Herbartis on-line course of the 4 countries of the project partnership: Portugal, Spain, France and Italy. See more. 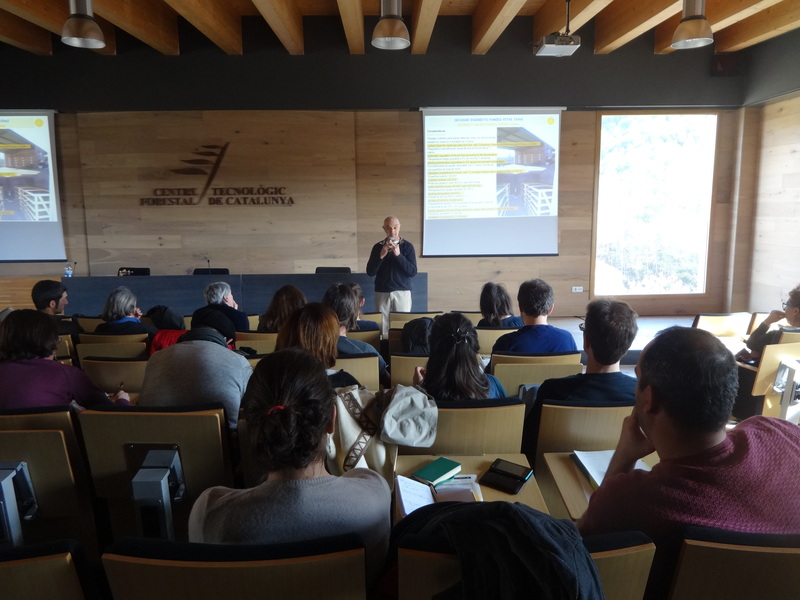 The lectures of the Seminar (in Spanish and English) could be found in the E-learning information Space of the Herbartis course platform.